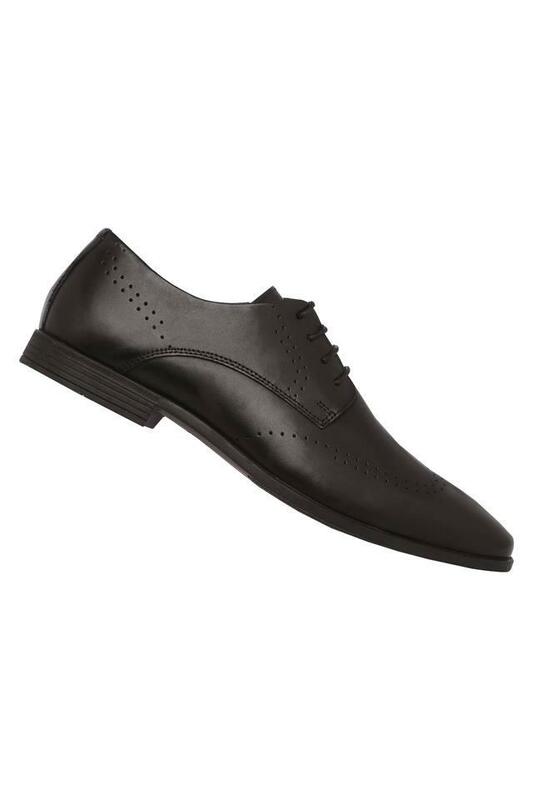 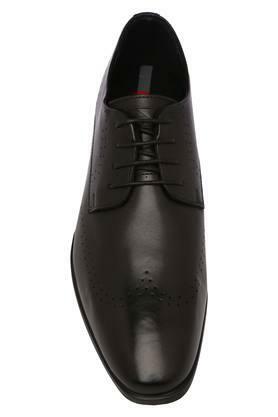 Add variety to your footwear collection with this pair of derby shoes brought to you by Lee Cooper. The upper part has been crafted from superior quality leather, which not only gives it a classy finish but also makes it easy to maintain. It also has a lace up fastening that will provide convenience while wearing it. 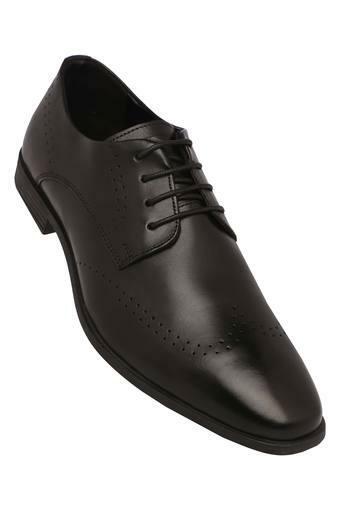 An ideal choice for you to wear at your workplace, this pair of derby shoes will go well with a wide range of formal shirts and chinos. 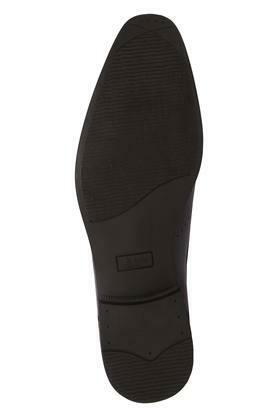 It features a thermoplastic rubber sole that will give you a firm grip.